So yes, we're restarting this long-forgotten feature — more to come! I started my business around December of 1995, (yes, I was an early adopter of the World Wide Web). Before I had a website, I sold box lots of sewing patterns on listservs. What motivated you to go into the vintage pattern business? I have been interested in vintage fashions since I was a child. 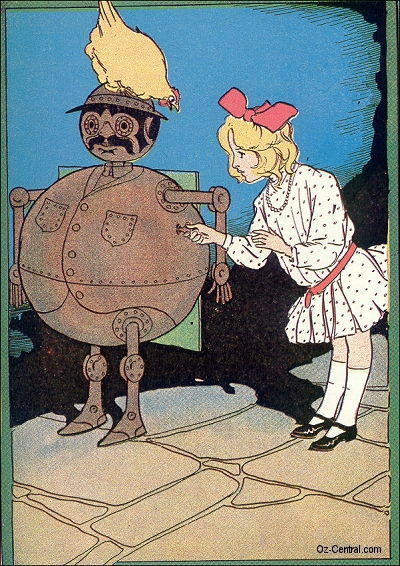 Some of my favorite books were the Wizard of Oz series by L. Frank Baum. They were filled with beautiful illustrations of 1910's and 20’s fashions. I started sewing vintage clothing in college and found it was cheaper to go to tag (yard) sales and buy large boxes of sewing patterns than to just buy the patterns I liked. When I began my website, I was already a web author for other companies. I started my business to sell off my collection of extra patterns more easily. I was a high school Biology teacher and a part time historical researcher of vintage fashion for Past Patterns. I’m a half hour North of Boston near the border of New Hampshire. I have this pattern in my private collection. I know I will never make the dress – but I love the illustration and the how someone would feel wearing it. I think a friend of mine gave it to me years ago. 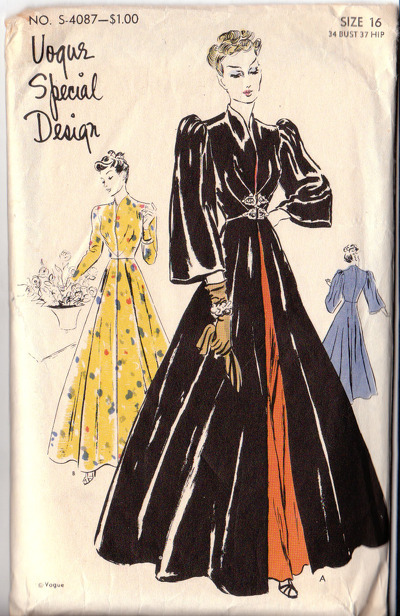 I love these McCall’s dress patterns from the 1940s. They came from an old store that closed in the 1940s – they are in excellent condition. I acquired over 100 of them many years ago. Only the smaller sizes are left. I’m surprised that I still have so many on hand given how unique they are. A box lot of dress patterns from the 1930s. I love looking at all the illustrations. There are an amazing number of designs produced for sewing patterns. I also enjoy the range of sizes that the patterns where produced in, such as the petitable, half size, and chubbies … There were patterns designed for all shapes and sizes of people. "Can I give you credit for your pattern in my film/tv show or school musical?" There are several movies and dance companies that have purchased patterns from my company, and I worked with the TV show Mad Men – but I have yet to see my company name in the credits. I love to help find costumes for vintage productions! I can ship out my orders AND add new patterns to my site. Find a way to put my site on top for vintage pattern searches! I love reading about the projects people are working on at Sew Retro. I’m also enjoying the research about vintage sewing patterns that Unsung Sewing Patterns is doing. That I have over 3 times the amount of patterns in my back stock than I have on my website. Maybe I should cry rather than laugh. The order processing and data entry never seems to end for me!